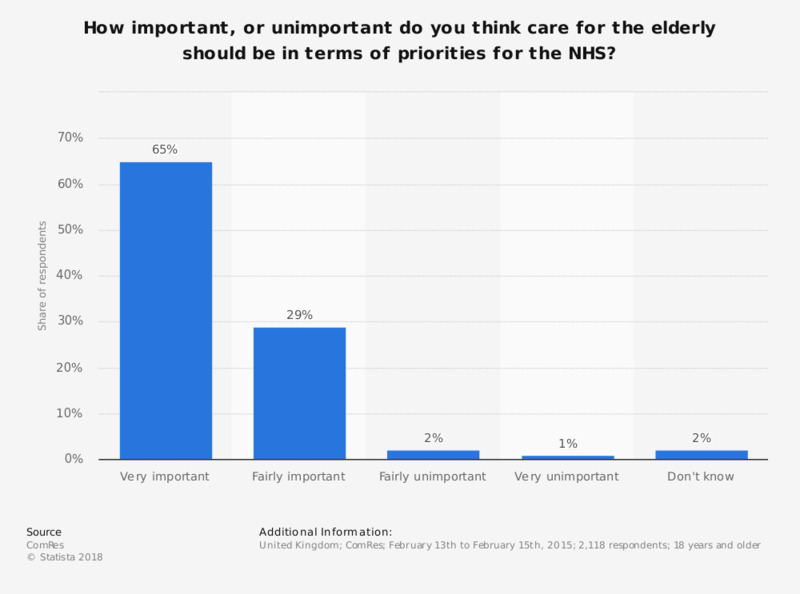 This statistic presents opinions of British men and women in the United Kingdom (UK) regarding the prioritisation of care for the elderly within the NHS, as of February 2015. In this period, 65 percent of individuals interviewed believe care for the elderly is very important in terms of priorities for the national health service. The exact formulation of the question: "How important or unimportant do you think the following should be in terms of priorities for the NHS: Care for the elderly." NHS is the National Health Service. Statistics on "NHS in the United Kingdom (UK)"